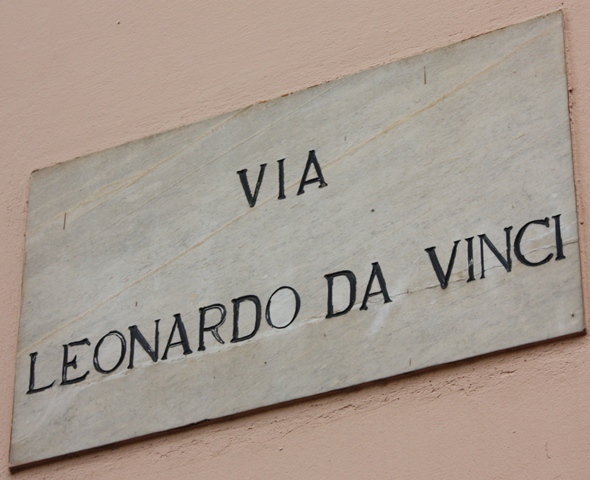 For over two thousand years, Italy has gifted our world with rich history, culture, food, and wine. Behind each of their achievements, there is certainly a business lesson too. As I toured its largest cities this summer, I was intrigued at how this country produced such talented artists, singers, engineers, and more. Curious on their cultural accomplishments, I looked for business lessons in some of their most famous people. 1. Expand your skills into other areas. 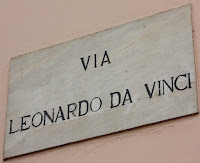 We’ve all seen a glimpse of Leonardo’s marvels on The DaVinci Code, but for centuries he’s been known for his work as a painter, sculptor, architect, musician, engineer and scientist. How many of us have a resume so diverse? His contemporary at the time, Michalangelo, not only sculpted and painted (see lesson 2) but also designed St. Peter’s dome and the Vatican Swiss guard’s clothing. Be the modern day “universal man”, a name given to Da Vinci, and expand your skills (and resume) in other areas through trainings, classes, cross functional assignments and experiences. In 1508, Michealangelo was asked to paint the Sistine Chapel’s ceiling, a project that lasted 4 years and almost left him blind as paint would fall in his eyes. His masterpiece, which includes The Creation of Adam in the center, made him a historical celebrity and landed him another job years later in the same place; painting the altar wall. The Last Judgment, another beautiful piece now adorns the chapel. Create a masterpiece in your everyday work and you will get called back, or certainly land another job. Galileo Galilei is the classic story of someone unsatisfied with the common answer. The famous astronomer was persecuted and imprisoned for challenging the church and opposing the belief that the Earth was the center of the Universe. Today, his work and subsequent theories are considered responsible for the birth of modern science. Have the nerve to challenge the status quo of things, just because something is popular belief, it doesn’t mean its right. Set out to prove something wrong. Carlo Lorenzini (or Collodi) was an Italian writer from a town outside of Florence. You might not have read his book, but for sure you’ve seen the Disney® version of his fairy tale adventure: Pinocchio. In the story, a wooden puppet’s short nose becomes longer when under stress, especially when he tells a lie. It’s only his good deeds throughout the story that reward him by becoming a human boy. At work, you too will get rewarded by being honest, do the right things and your "corporate" Fairy Godmothers (and/or fathers) will look over you. Julius Cesar was a roman general around 50BC who helped turn the Roman Republic into an Empire by his conquest of Gaul and more. He rose as leader of Rome through civil war and self-proclaimed himself “dictator in perpetuity." His move caused unease in the Senate and ultimately led to his assassination by what could have been his illegitimate son, Brutus. Prevent revolts and discontent at work by doing what’s right and engaging your company’s “senate” - bad behaviors might go punished, even by those closest to you. Cristoforo Colombo was born in an independent state in today’s northwest Italy. He had a vision for reaching the East Indies, ironically by sailing West. If the voyage was successful, Spain saw it as gaining an upper hand in Spice Trades with Asia. Although incorrectly credited with discovering America, he did initiate the Spanish colonization of the continent. His willingness to defy the odds and take risks is what lead to the western world we know today. In your work life, be adventurous and dare to navigate upstream and against the odds. Every successful risk if celebrated in rich rewards. If you walk a University campus you’ll find the School of this or the Hall of that. Airports, Hospitals, and Museums also carry people’s names. The Florence native, Amerigo Vepuccio, was the inspiration behind a continent. As an explorer and cartographer, he was asked to explore the coast of South America, an action that led Waldseemuller to create a world map and name the new continent America, after Vepuccio. Through your hard earned work and social contributions, leave behind a legacy in your name, don’t buy your name on a building, earn it. Antonio Meucci was an Italian inventor who left Florence during troubled times in the Italian unification. He ultimately lived in the US, where he filed a Patent Caveat for his idea in 1871 and was financially unable to renew it in 1874. Two years later, Alexander Graham Bell was granted a patent in his place and is now more commonly known as the inventor of the telephone, instead of the Italian-American. If you have a good idea, patent it before someone else and do your best to protect it.